We’re finally getting a look at this collab between New York’s The Hill-Side and upscale taste makers, Monocle. 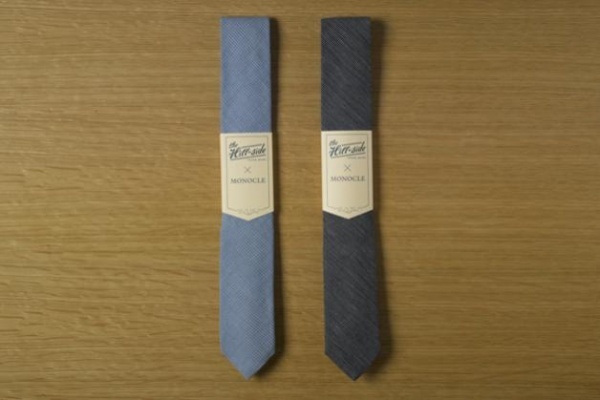 In addition, to a matching set of pocket squares, the cotton ties come in either a 7oz indigo or a 4oz chambray. Still slim for fall, the new Hill-Side and Monocle accessories are now available. This entry was posted in Accessories, Ties and tagged Tie. Bookmark the permalink.